The pricing model for snapshots can get rather complicated, so we need a way to automate the purging of snapshots. Lets minimize these costs! We use this script to backup and manage snapshot retention for all our Neo4j Databases hosted in the Azure Cloud. 1. The purging will always ensure that there is always at least ONE snapshot, so it will never delete a backup if it is the only backup for a base blob. You can then schedule this script to run after the Backup Script in TeamCity or some other build server scheduler. $message = "Argument Exception: BackupRentionDays cannot be greater than or equal to BackupLastDayOfMonthRetentionDays"
#Filter out blobs with more than one snapshot and only get SnapShots. #Fail safe double check to ensure we only deleting a snapshot. #Never delete the latest snapshot, so we always have at least one backup irrespective of retention period. #Purge last day of month backups based on monthly retention. Write-Host  "Container $blobContainerName doesn't exist, skipping snapshot"
Write-Host  "Found blob container $blobContainerName"
Write-Host  "Snapshot complete for $blobContainerName"
We will build a very simple Pub/Sub messaging system using the Azure sdk 1.6. I built this for a demo, so for production ready solutions you will need to alter how you define your message types, e.g. interfaces etc. Below is an idea how topics work, basically they similar to queues, except a topic is broken down into subscriptions, so the publisher pushes messages to the Topic (Just like you would with a queue) and the subscriber will subscribe to a subscription. So, in the above, we can see a publisher/subscriber messaging bus. This means, you can then create subscription rule filters based on properties that are on the message, all messages are cast to BrokeredMessage before they are sent on the bus. Generics are used on the subscriber to cast the message back to it’s original type. This sample code that I have provided has filtering on the CUSTOMER subscription, which only takes messages with a MessageType = ‘BigOrder’. 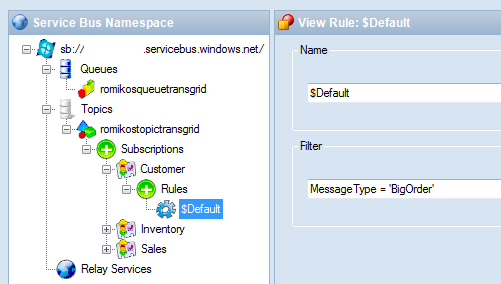 I like the idea of the service bus filtering ONLY on MessageType and NEVER on business domain rules e.g. Quantity > 100 etc, why? The Service Bus should never have rules that belong to a business domain, all logic for deciding what “TYPE” of message it is should be done before it is pushed onto the bus, if you stick to this, you will keep your service bus lean and mean. or clone it with mecurial. I also included asynchronous operations. Remember that Azure Appfabric Topics only support partial transactions. 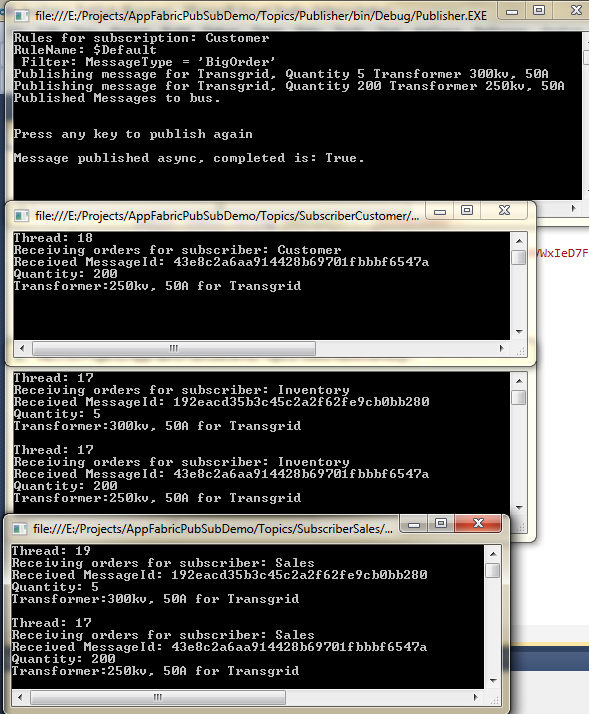 If you want full transaction support, check out NServiceBus. I highly recommend the use of NServiceBus with AppFabric for full transactional and guaranteed message delivery for .Net publishers and subscribers. Below are screenshots of what you should see when running the code, after updating the AcountDetails.cs file with your appfabric account details. 1 subscriber only getting the big order using the subscription filtering. You will need an Azure subscription to try out the demo, once you have the subscription, update the AccountDetails.cs file with your credentials. 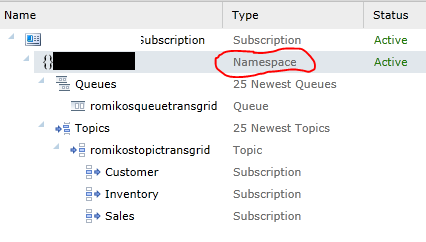 Namespace, Name and Key, this can all be found in the Azure portal management. Check the default key. One the right pain will be the properties for the namespace, including the Management keys which you can use to get started, by using the default name of owner, or you can play with access control and create a user account and key. Here I use the explorer tool to see the message filters on the customer subscription, which only takes big orders. I needed to update the transformation today to support different csdef files for UAT/Test etc. I found myself forgetting the process, so i thought it would be a good idea to log the entries needed. What I wanted was a way to disable New Relic in our performance environment, since we do not have a license key. Since we use the Azure Tasks to run batch jobs before the worker role starts, it made sense that I create a TASK Environment variable that my batch script can check and see if it should install New relic, e.g. So, in the above, my batch file startup.cmd will skip installing new relic if the environment variable is PERF. However we need to set this value in the csdef file. So we go to the BASE servicedefinition.csdef file and have this entry for it. Notice above I have them for BOTH CSCFG and CSDEF files! So there you have it, you will now have csdef and cscfg files for different environments. 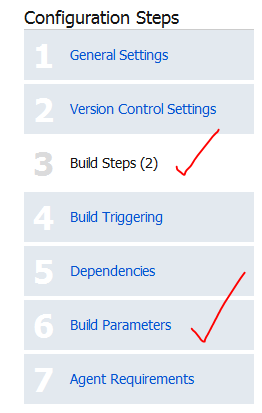 I want to walk through three issues you can have with Windows Azure Diagnostics and a Worker Role. 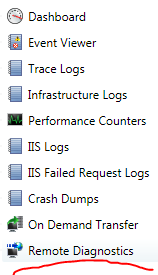 I assume you want to access the Windows Azure Trace Logs, since you use the Trace command to write out exceptions and status messages in the onStart code. Also you have the WAD trace listener on, which it is by default. You might have a custom worker role that starts some sort of background service and perhaps it fails immediate due to some sort of configuration. You notice the role keeps recycling and recovering. 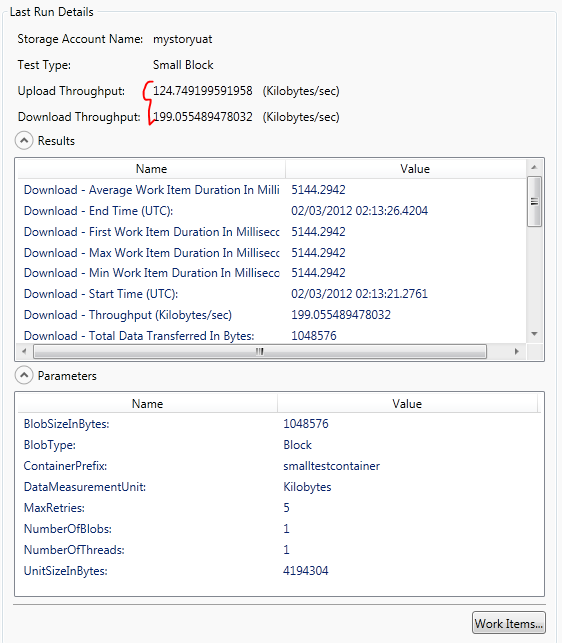 On Demand Transfer or Schedule Transfer of Diagnostics logs do not work at all, so you cannot get any Trace Information whatsoever. 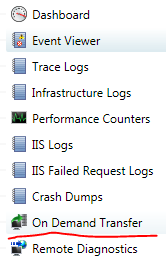 You are able to diagnose the problem since On Demand Transfer/Scheduled Transfer works and you can then get to the trace logs to see error messages you have written to Trace. 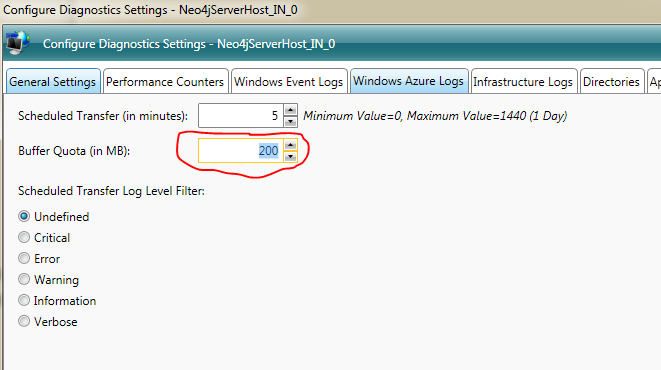 Recall that Windows Azure has a settings to automatically have a trace listener on to redirect trace to its WAD table. You notice the role keeps recycling and recovering or event stars up but is unresponsive. Below is screen shots of On Demand Transfers with the Cerebrata Diagnostics Manager. 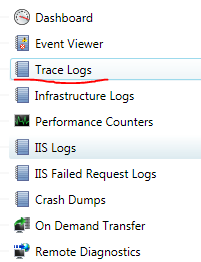 Now that we have scheduled transfer in place REBOOT the role that is causing the issue and then wait for it to try start up and fail, and then just go download the trace logs and it should be there. So, ensure you have a silly sleep command in your work entry point OnStart and in areas where you catch exceptions in case your worker role crashes before Windows Azure Diagnostics! Try On Demand Transfers if there is an issue, and if that does not work, configure a scheduled transfer on the fly and then reboot the role to get the start up logs. Scheduled Transfers will impact your billing of Storage Services, MAKE SURE you turn it OFF when you finished diagnosing the issue, else you will get BILLED for it. Remember configuration of WAD is in Blob and the actual trace logs are in Tables. Windows Azure, which affinity group or region is best for you? A nice tool to use to see which Azure Affinity Group to use e.g. South America, North America or Asia is to download this tool and run checks from where your clients will be based. Once you got it installed, add your storage accounts and then get started. So above we will test from Sydney Australia to our UAT environment in America. It will start executing the test, this is now a good time to plan a date, make a cup of coffee or write some JScript for your open source projects. For us, South East Asia was far more better (Web site, download is more important than upload), and the proof was in the pudding when we measures web site response times with MVC MiniProfiler. However, this is not the ultimate conclusion, I bet these response times will vary depending on time of day, perhaps when Asia is awake and US is asleep, it could be the other way round, so test it at different times of day and pick the affinity or region that is best for you! 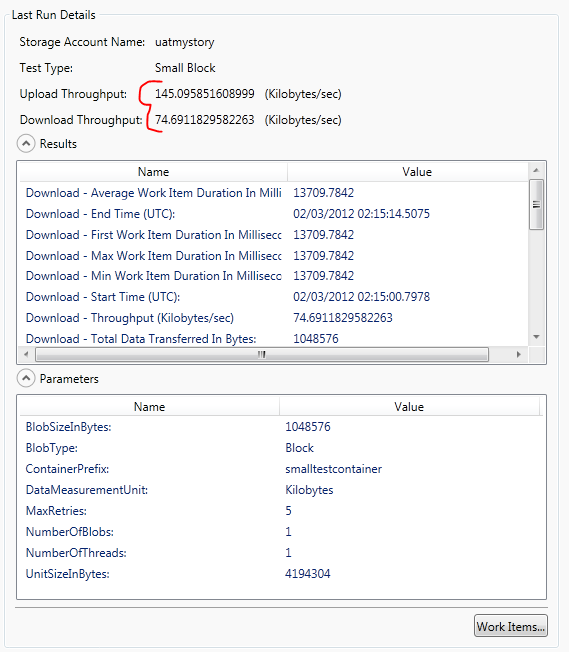 Windows Azure SDK 1.6–CSX folder output breaking change..again.. Automated deployments with SDK 1.6 have been broken with TeamCity. Location of CSX folder in build output changed. Location of CSRUN.exe moved to emulator folder. Before, when using the MSBUILD targets, the csx folder that is needed by CSRUN.exe for automated deployments has been changed, what is worse, is the old csx folder location is not cleaned up and is partially there, so to the untrained eye you think it is still there! Also note, you will need to change the path of csrun.exe as this has been moved. Why does the old location with impartial files still exist? Not sure…Because this was my new error when I tried to deploy. Notice the new relative path to the project is \csx\release and not bin\release\MyProject.csx. This is not the first time, that we get breaking changes. 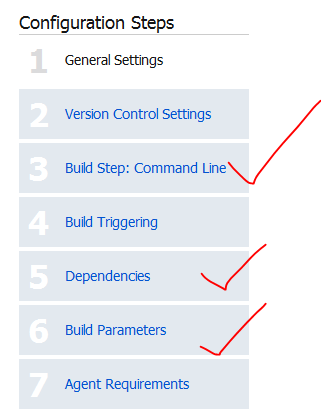 In 1.5 allot of the MSBuild target names changed, they were fine the way they were, sometimes I just do not understand certain changes that did not really need to be made. 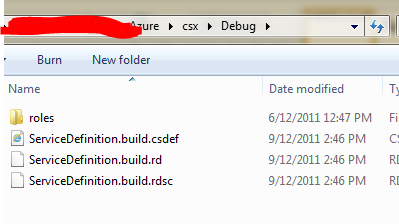 So, can anyone explain why the folder before in bin\MyprojectName.csx was changed to a directory level up from bin and called only csx, it just seems to be changes that we really can do without, or is their some grand planned scheme that will make this change so exciting in the future…who knows? 29/08/2011: OBSOLETE – Now baked into the Core of Neo4j. I was having some difficulties getting the Gremlin query plugin working correctly with the Neo4j server which we will host on a Windows Azure VM. Below is some steps to get this working nicely. JDK is needed to compile the plugin. 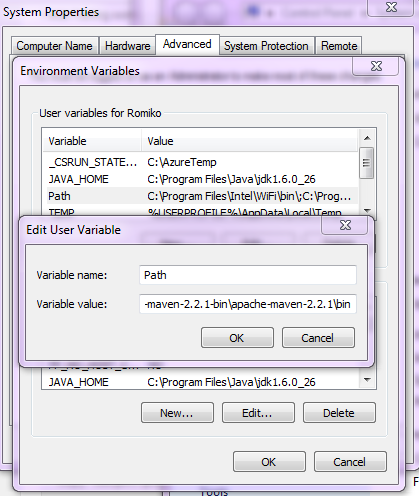 I like to setup environment variables to Neo4j server folder, java_home and also the maven location. Once done we can then compile the plugin and copy it into the Neo4j plugins folder. 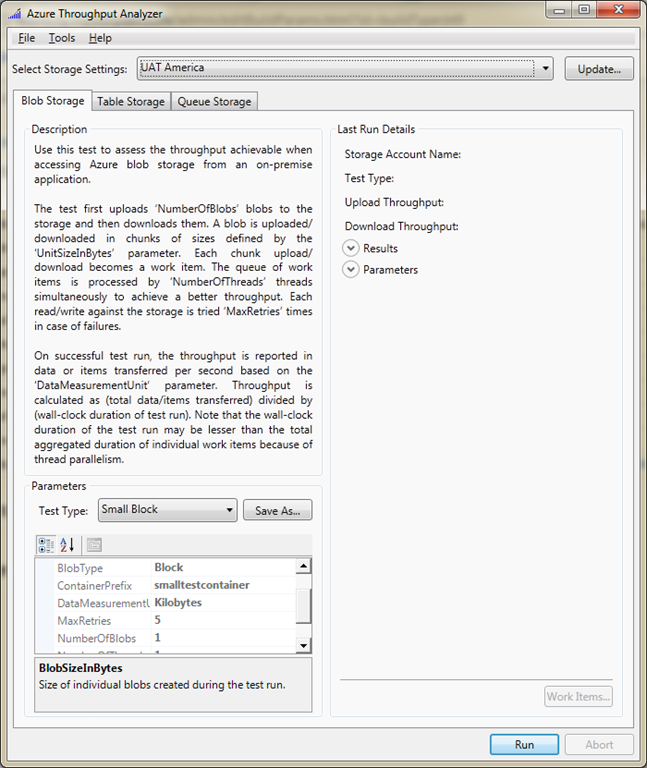 Compiled version of the plugin. 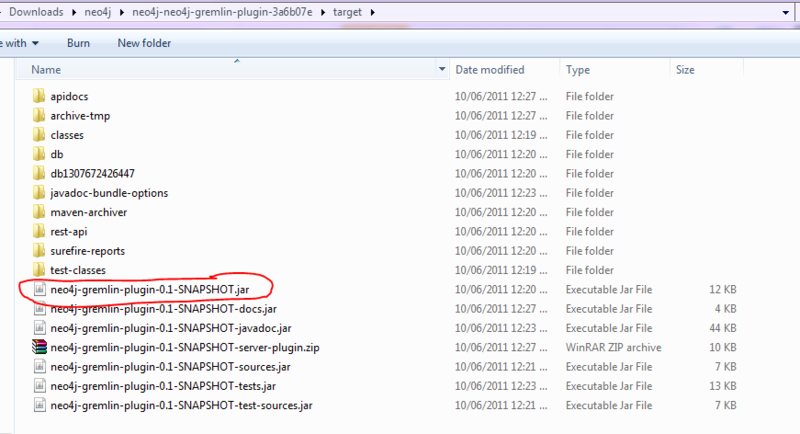 Here we can see the plugin in the folder. As we can see above, the rest result from the server has the GremlinPlugin Extension. In fact we can now do an HTTP Post Gremlin query to get the nodes from the object graph in the database. I want to see if I have a Node at the second level that has a relationship of type Related To with the Out Direction. Now we need to URL encode this. We have Node 23 being related to Node 2. (Remember Node 0, then Node 1). the above result can be confirmed in the gremlin console (now baked into Neo4j) as of June 2011. 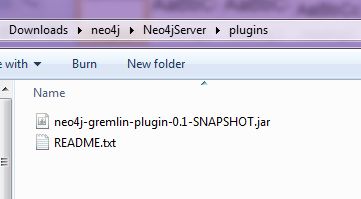 Note: The gremlin extension that is now part of theneo4j server\lib extensions is not for rest API queries, you still need this plugin! Here is a screenshot of the gremlin console now baked into Neo4j. I might be looking at building a custom IQuerable expression translation, so we can then use Linq to query a gremlin based API. Might be fun to do, but first need to learn more about gremlin and Neo4j.